Town Fiľakovo is situated in the southeastern part of the Lučenec district, 15km away from the frontier crossing with Hungary. Number of inhabitants oscilates over 10 000 inhabitants. Although Fiľakovo belongs to smaller towns, its history is very rich. The first written mention of the settlement with the right to toll comes from the year 1246, therefore in 2001 we will celebrating the anniversary of 755 years. Fiľakovo has become royal town in the Medieval Age and together with the castle belonged to some important aristocratic families of Hungary (Matúš Čák, Bebeks, Perénys, Kohárys, Coburgs). 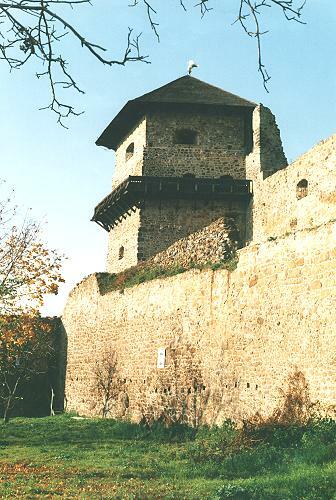 The Castle of Fiľakovo is situated on a stone hill in the middle of the town and forms its dominant. It consists of three parts: upper, central, lower. In the 1554 the Castle was conquered by the Turks and almost 40 years was a seat of the Fiľakovo´s sandjak to which belonged most of South Slovakia. The Turks fortified walls of town, built the Turks spa, flower and fruit gardens, shops, handicrafts manufactories, improved Castle´s water-pipeline, a well and a cistern. In the 17th century the Castle of Fiľakovo became seat of committees of Novohrad, Hont, Heveš and Pešť. In the year 1682 garrison of the castle defended Fiľakovo against the Turks army. Because of betrayal of commander of castle guard the Turks got the castle and then it was burnt out. Town was settled gradually, but the castle has been still in ruins.